Monique Bosco-von Allmen has been in private practice in Milan since 1998. A graduate of the Swiss Federal Institute of Technology in Zurich, Monique worked in the offices of Mario Botta and has collaborated with Studio Antonio Citterio and Partners. 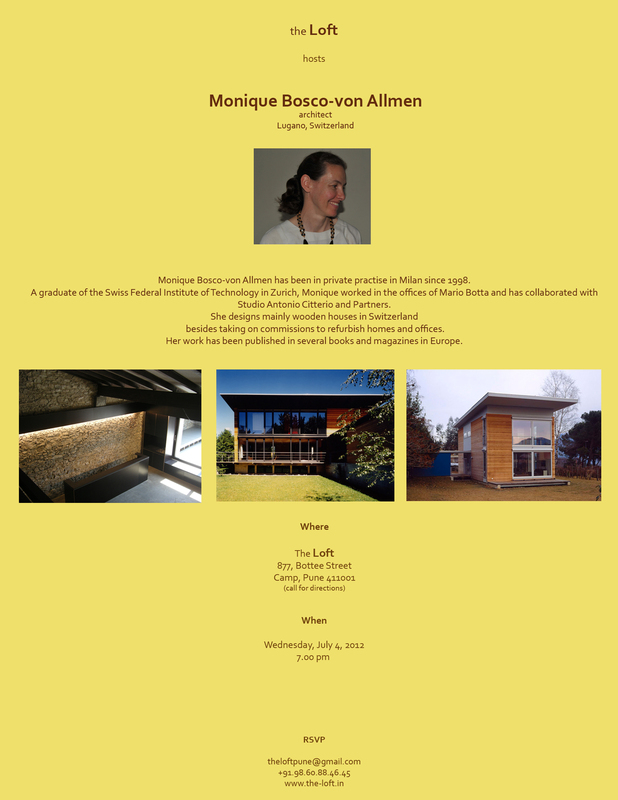 She designs mainly wooden houses in Switzerland, besides taking on commissions to refurbish homes and offices. Her work has been published in several books and magazines in Europe.